DSSSB recruitment 2019: All the interested candidates should apply online on the official website before 5 March 2019. 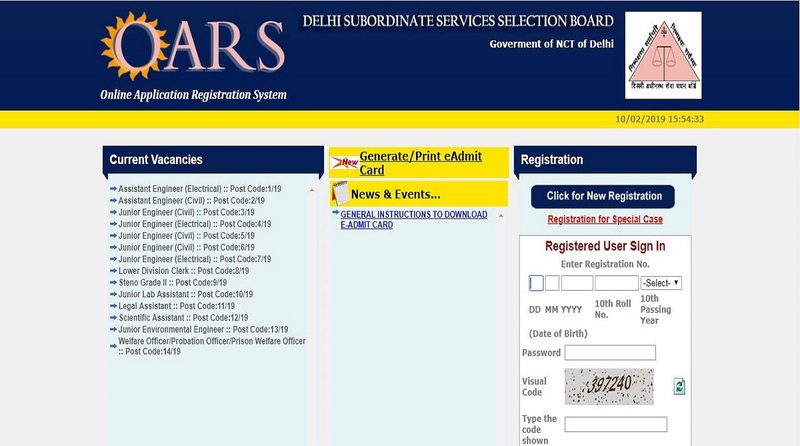 DSSSB recruitment 2019: Delhi Subordinate Services Selection Board has released an official notification inviting applications for the recruitment of LDC, Steno, Legal Assistant and Others. All the interested candidates should apply online on the official website before 5 March 2019. The total number of posts is 204. • Interested candidates should check the official notification here for information about the academic qualification. • Women candidates and candidates belonging to Scheduled Caste, Scheduled Tribe, and Persons with Disability & Ex-serviceman category are exempted from paying the Application fee. • Negative Marking of candidates will be applicable. 0.25 marks will be deducted for every wrong answer. • Interested candidates should apply online on the official website.